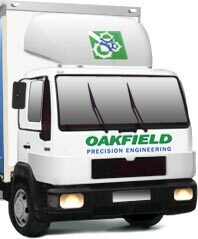 Welcome to Oakfield Precision Engineering Website. At Oakfield Precision Engineering our skilled workforce machines all sizes of turned and milled components and conveyor drums up to 24" diameter. We supply precision engineered parts to Manufacturers and Plant Maintenance Departments of Heavy Plant, Conveyors, and Re-cycling Equipment. Components are machined to your specification from drawings or from original parts. Highest quality parts are produced at Oakfield Precision Engineering and all Conveyor Drums are manufactured from NEW PIPE which ensures a better balanced and longer lasting drum. Services include CNC batchwork, Conventional machining, Milling, Drilling, Key cutting and Jig Making. Please view some of our quality products and we will be pleased to answer any queries you may have or provide a quotation.